We had a nice busy day at Portman yesterday with 6 horses there, I was restricted to three because they balloted. Yes I Can had a very satisfying win in the Novice, he did a much better dressage of 30, it was very calm and steady but there is still lots more to come. He jumped a super clear in the mud show jumping, clear rounds had certainly come at a bit of a premium once the ground had chewed up a bit. He popped around the cross country very easily inside the time, finished on his dressage score and won by a couple of marks. It was so nice not having to hare around the cross country to do the time, it was just how Novice should be. There are some events that you have to steeple chase around to get inside the Novice time and that in my opinion is neither educational or safe. Georgisaurous was having his second Novice run, and was second after dressage on a good score of 24, as usual he produced a super test and he is still improving. Sadly he rolled a couple of poles show jumping again but he jumped a much better more confident round. He had a good rhythm but was a bit green and distracted once or twice. On the Cross Country he produced another solid clear and was overall the best he has been so far. He was much more relaxed and rhythmical and despite going slowly only came home with a few time faults. It was a super novice course and he coped very well with the few questions. 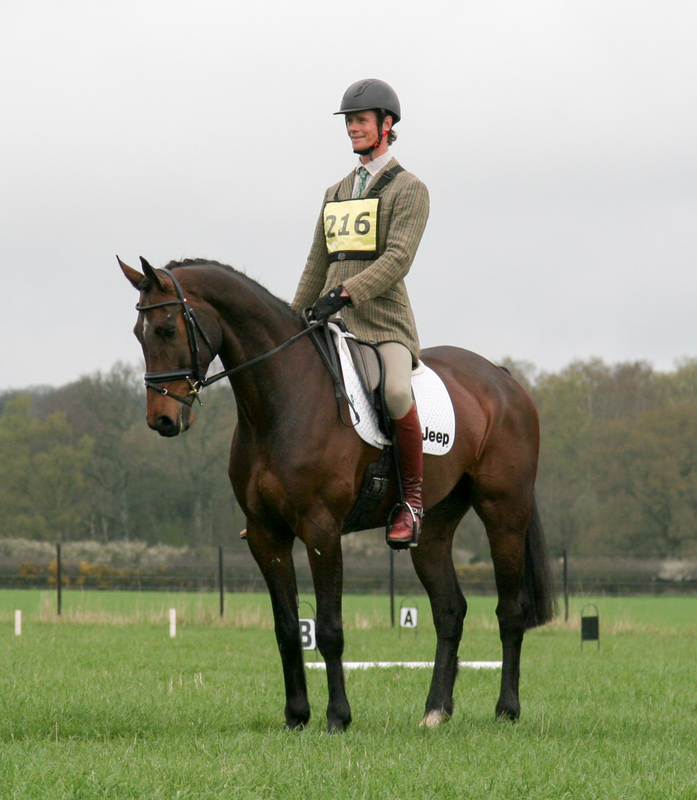 Shannondale Percy had another good run which was very pleasing, he did a lovely test to score 25. He then did a solid double clear to finish on 25 and was unlucky to just get beaten at the last minute. Andrew had three there, and was very pleased with how they went. He finished 7th on Daddy’s Quest, she did a nice dressage to lie second on 28, jumped a good round with a couple of poles down and flew around the cross country very happily with no time faults. Andarilho also finished 7th, he produced a nice test, was very unlucky to roll a pole at the first show jump and then jumped brilliantly, and he also flew around the cross country. Seventh Heaven had another productive day, gave Andrew an excellent feeling cross country. However, the plan is that I am taking back the ride on Saturday at Larkhill.